Irrespective of whether we like it or not, the law demands payment of taxes on time. The two terms- tax avoidance and tax evasion are different concepts though used synonymously. 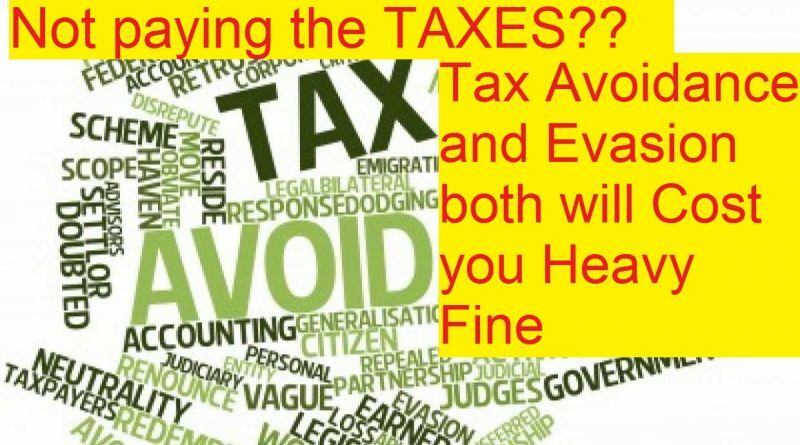 Evading tax can get you fines, penalties and jail time a well! Avoiding taxes, the legal way requires a good and honest tax professional and would not lead you into trouble with the Internal Revenue Service (IRS). 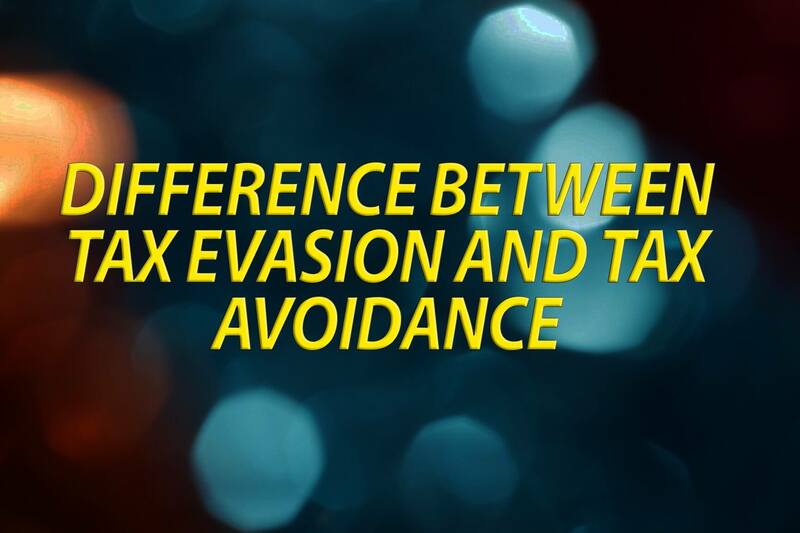 Know more about Which Is more bad Tax Avoidance and Tax Evasion? Which Is more bad Tax Avoidance and Tax Evasion? Tax avoidance refers to the legal way of reducing the taxes by using methods in sync with the tax code. Businesses make use of deductions that are legitimate and avoid taxes. Creating Employee Retirement Plans are a good example of avoiding tax. Tax Shields are strategies that protect businesses against a higher tax. An example of a tax avoidance strategy would be using tax deductions that are legitimate to reduce the expenses of the business, thereby reducing the tax bill of the business. A Tax Loophole permits a business or a person to avoid taxes without violation of the law directly. The tax code being complex, many tax experts take advantage of certain parts of the law and find ways to avoid tax for clients without violating the laws. The lawmaker such as accelerated depreciation intentionally creates few tax loopholes. The practice of Tax evasion is an illegal way of not paying taxes, e.g., not reporting the income, expenses that are legally not permitted being reported or just not making the payment of taxes owed. This can be practiced by a business on employment tax or state sales tax. The most common strategy is not paying the turnover tax that has been collected from others to the right government agency. This tax is also known as trust fund tax as they are entrusted to a business based on the trust that it will be turned over to the correct government agency. Failure to pay off the employment tax to IRS, sales tax to state/federal authority can lead to fines and high penalty. An example of tax evasion practice is giving wrong information about the income or expenses of a business to the IRS. Tax evasion can be committed by businesses with employees as well, e.g., paying cash to its employees and not filing the returns, or filing the wrong tax report of payrolls. Tax fraud is similar to tax evasion. Tax Evasion Charges- How to avoid them? Although tax evasion might appear to be an intentional act, the illegal act will lead to the IRS fining and penalizing the business for the illegal tax strategies. The best way of avoiding the fines and penalties is to understand be aware of the tax laws applicable to income tax as well as employment tax. For example, it is knowing which are the legal deductions and the requirement towards deductions by law for recordkeeping help in avoiding an audit. When it comes to employers, they have to be aware of the provisions related to payroll tax reporting and payment. Tax Evasion- What it may cost you? For a few cases the prosecution might take place in the tax court, but many others are looked into by the criminal division of the IRS or the state/local tax authority. In the case of coming out innocent, it would cost the taxpayer time and a lot of money. Since Tax evasion is always thought of an intentional act, criminal charges can be imposed on the convicted by the IRS. Penalties consist of jail time along with the right amount of fine and penalty. The bottom line being, pay your taxes on time. Get yourself a good, reliable and honest tax expert who can help you avoid tax than evade tax and put you in trouble. November 11, 2015 Manager Comments Off on How can you save tax through investment in your spouse’s name?